Do you struggle with patient retention? You aren’t alone! 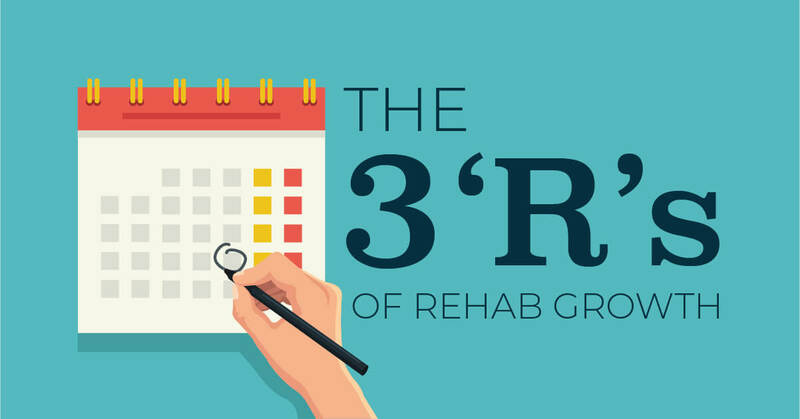 In a recent research survey, the State of Rehab Therapy, it was revealed that patient retention is one of the biggest struggles facing private practice physical therapy. The best case average – clinics with a single therapist – saw only 25% of patients complete more than 90% of their recommended care. In clinics with multiple therapists, the retention rate dropped as low as 7%. That’s a HUGE problem! Not only for patients’ recovery, but your practice’s bottom line depends on budgeted, planned appointments. In fact, the Harvard Business School conducted research on customer retention and showed that if a business can increase customer or patient retention by just 5% they are likely to see at least a 25% increase in revenue. So for every 1% increase in retention, your revenue should grow by approximately 5%. Sound like a worthwhile investment? Let’s say your practice is in the middle of those averages. Pretend for now you see 100 patients/month with a patient retention rate of 15%. Now let’s say 1 out of every 2 patients who do complete care either Refers another patient or Reactivates / Returns for future care. Using the tips we’ll discuss below, if you raise your patient retention rate to 25%, you would likely see as much as a 50% revenue increase, and add 5 more referral or returning patients each month all by retaining the patients you already have. Now, what if 3/4 referred or returned instead of 1/2? See where I’m going? For powerful, up-to-date marketing tips on attracting new patients check out our free PT Training Downloads! You’ve heard that first impressions are everything, but first PT consultations are everything and more. This is your chance to lay the groundwork for a patient that will see through their entire plan. To do that, you’ll need to focus on a few key things. Impress and educate them with your quality and knowledge. You want to clearly portray the professional, trustworthy quality of your practice while showing you understand their problems and how to fix them. You’re already a great PT, but don’t ignore the fact that this is in many ways a presentation, not just an evaluation. Branded print materials display your practice in a professional way and help educate about what it is you do for people. Show them their aspirational goals ARE achievable. What does that mean? See, for a patient to commit financially and time-wise to this process they need to see the value. And, there is nothing more valuable than very personal goals. Learn enough about them to set a goal with them such as “Pick up their grandkids without pain” or “Get back to tennis so they can compete for the next championship.” These are more personal, relatable, and valuable than a goal like “correcting sciatic nerve tension.” It’s aspirational, and it will keep them coming back. That said, remember to set goals your care will deliver on. Finally, make a note of this personal goal so you and your staff can keep it on their mind throughout their care plan. Define what “better” really means. In addition to their aspirational goal, you should clearly define what recovered means and why you’ve prescribed a certain amount of visits. 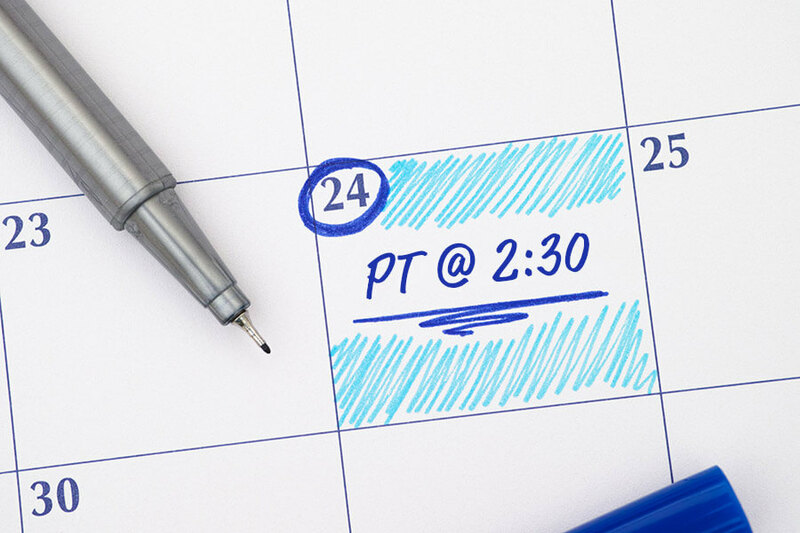 Heidi Jannenga, PT, DPT, ATC told us recently on a webinar that many patients stop coming because they actually feel better but never tell you. To reduce this, you as the therapist need to pre-define what “better” is and make sure they understand they’ll need some time to strengthen even after their pain is gone. The most obvious use of these types of services is appointment reminders. When reminding them, try to keep things exciting and personal. Nothing feels more like an obligation than a robot calling them with a calendar reminder. You want to use automation to save time, but also include a personal touch. You can also use these systems to follow up on missed appointments and prevent a patient from dropping out completely! Lastly, social media can be a great way to stay connected. Look for ways to encourage followers in your office such as contests or other fun events. For more patient communication ideas check out this 6-Week Guide to Boosting Completion Percentage! There is one caveat to texting – the service needs to be HIPAA compliant. It is not advised to text with a personal, normal cell phone. Look into a patient relationship management program such as WebPT Reach for more ways to engage and retain patients. It’s no secret that copays are more painful than some conditions you treat. That’s why it’s important like we discussed to make their treatment and their goals as valuable as possible. But in addition, you need to make the process of paying for care as convenient and hassle-free as you can. Thankfully there are services now to securely accept payments through your website without you having to handle credit card liability. For more on online bill pay read this quick article as well! The amount of time most patients spend with office staff, PTA’s, techs, and even other therapists has a profound impact on their experience in your clinic. If service is impersonal, they don’t feel like they can talk openly, or they aren’t being consistently shown why this appointment AND the next one are beneficial, you’re likely to lose them due to cost or time commitment not equaling the perceived benefit. Remember the goals and reasons for prescribing a specific amount of visits we discussed above? Keep mentioning those along the way! Check out this article for more on training your staff to market and retain patients. Patients who are educated in 2 key areas are more likely to complete their plan of care. The first, they need to know what physical therapists do and how it helps people in general. You should do this with welcome kits and as part of the initial consultation. It can also be done before they are a patient through workshops and marketing. Second, they need to understand the value as it relates to their condition. Any additional print materials you can provide to them that are relatable will go a long way towards keeping them. Also, try to keep reviews and case studies of past patients easily accessible so you can share results from very similar cases (with the HIPAA compliant anonymity or permission). If you want to dive deeper into improving and automating patient referrals, we have a free training webinar as well as a blog post featuring Jamey Schrier, DPT and Founder of the Practice Freedom Method. I’d encourage you to listen to that soon! Just ask Apple (or any successful retail company) and they’ll tell you one of the top ways to scale growth is to ensure your customers don’t just buy once. When a patient returns, or reactivates, you have doubled the value of that patient with very little additional cost of acquisition. In English, reactivating patients is cheap. Check out the video snippet below for what one PT owner said after he finally started marketing to past patients! We talk a lot about new patients, and that’s important to any practice looking to grow. But, with the 3 R’s you can increase your practice’s revenue simply by leveraging your existing patient base. In addition, once you’ve improved your patient retention strategy, every new patient you do bring in through marketing, referrals, or your practice website will be much more likely to complete their plan of care – therefore, exponentially more valuable. Here’s how to calculate your retention rate+ a free retention training webinar with founder of WebPT, Heidi Jannenga PT, DPT, ATC.